+1; Until end of turn, up to one target creature gets +1/+1 and gains first strike, vigilance, and lifelink. 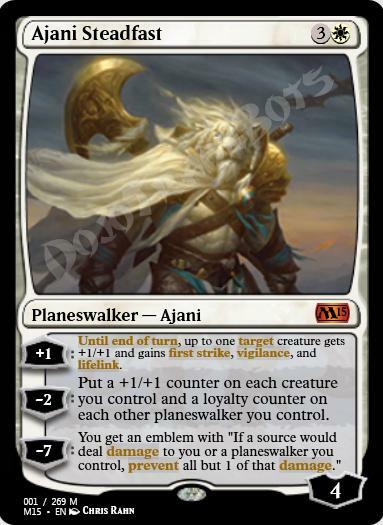 −2; Put a +1/+1 counter on each creature you control and a loyalty counter on each other planeswalker you control. −7; You get an emblem with "If a source would deal damage to you or a planeswalker you control, prevent all but 1 of that damage."